"Small towns have many stories; they are full of happiness and joy. If you come to a small town, you will definitely harvest a lot..." These are the lyrics from a classic song “Small Town Story” sung by the famous late Taiwanese singer Teresa Teng. Even though Teresa Teng first recorded it in 1978, it remains popular among Taiwanese people as well Chinese-speakers worldwide to this day and is still widely sung by many people. The lyrics convey the charm and human touch of small towns. It’s often said that Taiwan’s most beautiful scenery is its people, and that includes the most precious elements of humanity - friendship, warmth and kindness. And you can best find these wonderful traits of Taiwanese people in Taiwan’s small towns. That’s why this year we are promoting Taiwan’s small towns. Taiwan has 368 districts, townships, and small cities and counties, with rich and diverse cultural history, cultural landscapes, and recreational resources, which are perfect for developing the tourism industry. 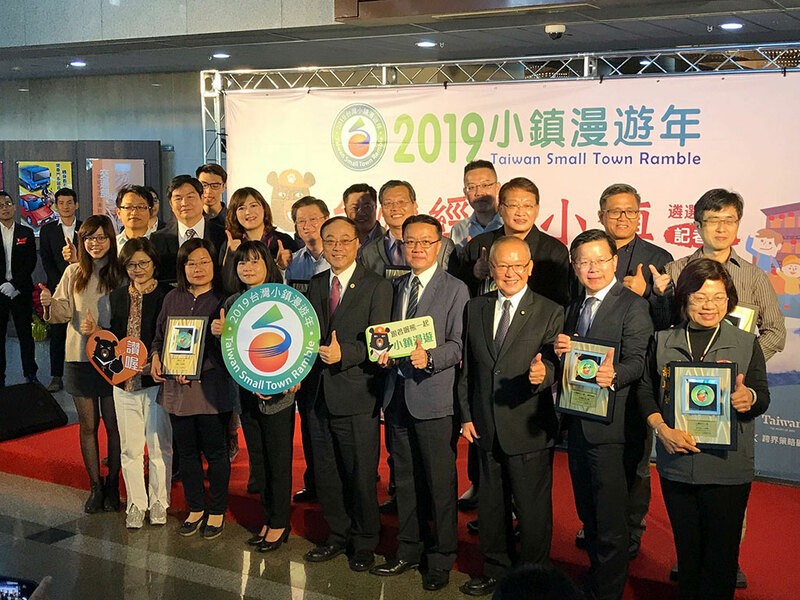 Taiwan’s cabinet, the Executive Yuan, has designated 2019 as the "First Year of Taiwan's Local Community Revival.” The Tourism Bureau therefore plans to make small towns the focus of its tourism promotion campaign in 2019. We have selected towns with sightseeing and tourism characteristics, including: classic towns of various counties and cities in Taiwan, as well as theme towns recommended by various ministries in Taiwan, such as Hakka towns, indigenous tribal villages, and towns certified as slow-paced cities by Cittaslow International, as targets to promote Taiwan's small town tourism characteristics. In 2019, we welcome the “2019 Small Town Roaming Year" and mark the end of the “2018 Year of Bay Tourism". It is once again time to polish Taiwan's tourism brand and market it internationally by letting everyone gain an in-depth experience of Taiwan's unique folk customs and ecological attractions, through industry integration, product packaging, publicity and marketing, etc. This year we are especially calling on young people to recommend small town roaming experiences, strengthen community publicity, and help create a local town tourism brand for Taiwan. We aim to reach out to more travelers, attract tourists, and have them stay in our small towns as guests, and increase the scale of the national tourism market. Through the youth’s participation and Taiwanese towns’ social involvement as well as the use of digital technology marketing, we hope to display small towns' tourism atmosphere and show the local characteristics of Taiwan's towns and villages, helping to balance regional development and improve the revisit rate and consumption by domestic and foreign tourists. At the same time, we are also actively coaching tourism industry participants on industry transformation and strengthening their businesses. In turn, this will drive the tourism boom, create tourism benefits, activate the local economy, and promote Taiwan's tourism development. In 2019, in addition to continuing to promote the "Tourism 2020 Taiwan Sustainable Tourism Development Program", we will implement strategies such as developing a diversified market, activating national tourism, guiding the transformation of the industry, developing smart tourism, promoting experiences and sightseeing, and shaping Taiwan into a tourism destination known for "friendliness and wisdom" and for being one of the most important tourist destinations in Asia. We plan to focus on key countries such as Japan, South Korea, Southeast Asia nations and Australia to attract tourists, and will continue to use innovative propaganda, promotion, and other methods to market Taiwan. At the same time, we will strengthen cultural and sports-related tourism in the southern and central regions, and encourage international travelers to travel to central and southern Taiwan for tourism. Highlights there including the Taichung Flower Expo, Pingtung Dapeng Bay Taiwan Lantern Festival, "Baodao Midsummer Festival," "Taiwan Cycling Festival" and "Hot Spring and Fine Cuisine Carnival" will be combined with modern technology and classic town elements. Foreign visitors and Taiwanese travelers can enjoy the great experiences in Taiwan. We welcome friends from all over the world who like Taiwan, to travel to Taiwan and visit its small towns. We guarantee you will find a completely different Taiwan and a new travel experience! During this promotion period, we will cooperate with the county and city governments to encourage young people to visit Taiwan’s small towns and get to know Taiwan.